Spend a day amongst the fields and hedgerows practicing one of the most traditional and satisfying field sports there is. Steeped in the romance of a bygone age, ferreting is a chance to escape it all and get back to basics with only a few nets and a ferret to catch rabbits – a truly wild quarry. 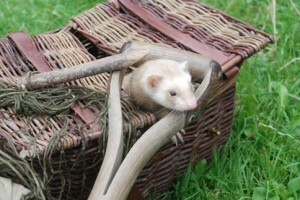 Brief introduction to ferreting, use of nets, ferret handling etc. Age: This course is not suitable for young children. For the same Experience especially for younger children click here.